My love for Makeup Geek Eyeshadows is definitely not a shock to anyone. 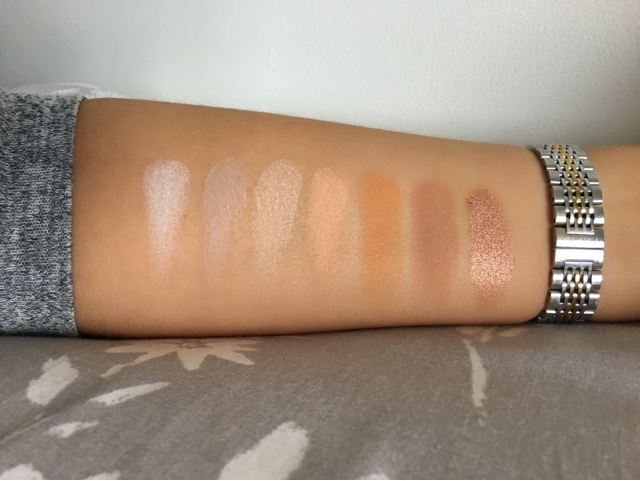 I've talked about them on here before in a few posts but I've never actually talked about the different types of eyeshadows, their prices or shown you the different ones I have in my collection with swatches. 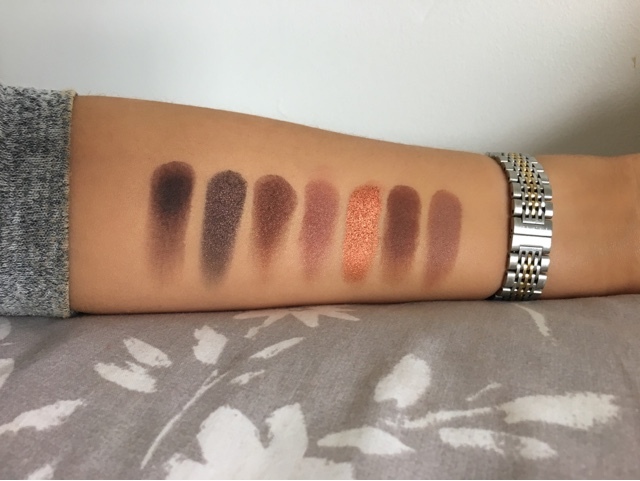 When Beauty Bay started stocking Makeup Geek eyeshadows back in the late months of last year it was relief to all of us in the UK as we can now order them and not have to pay the shipping price from the US. The three types of shadows I own from Makeup Geek are the original eyeshadows which have a matte, shimmery or metallic finish (£4.95). Foiled eyeshadows which have an intense, opaque and metallic finish (£7.95). 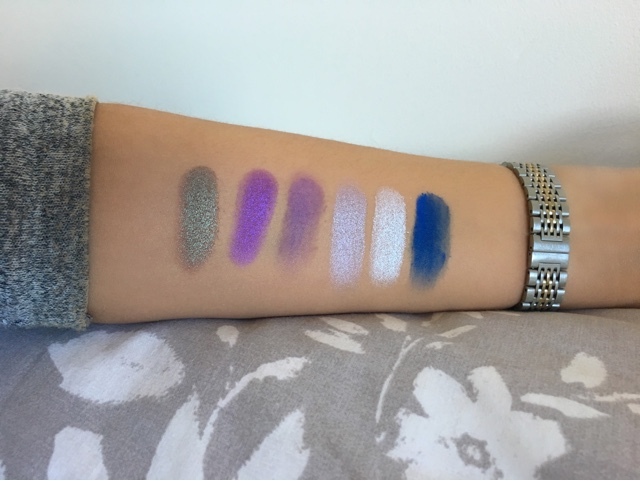 Duochrome eyeshadows which are two toned pigmented eyeshadows (£4.95). What started off as a little collection of 4 has spiralled out of control (in a good way I promise) into 33 little pans of heaven. 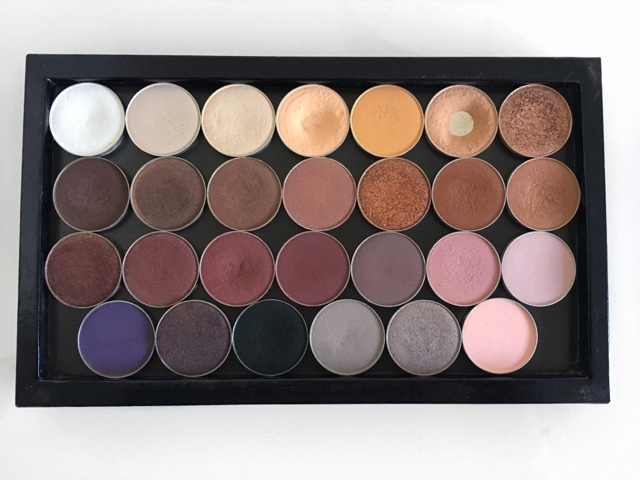 I store mine in a large Z palette displayed above however I do have 6 extra eyeshadows that are not in the picture above as they are stored in a separate Z palette. 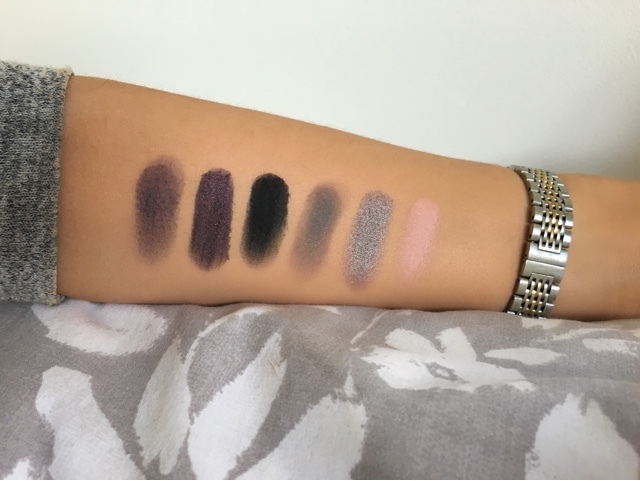 What I love about Makeup Geek eyeshadows is that they are more affordable than higher end eyeshadows but there is certainly no compromise on quality. I am terrible at describing colours so the descriptions of the shades below are from Makeup Geek. 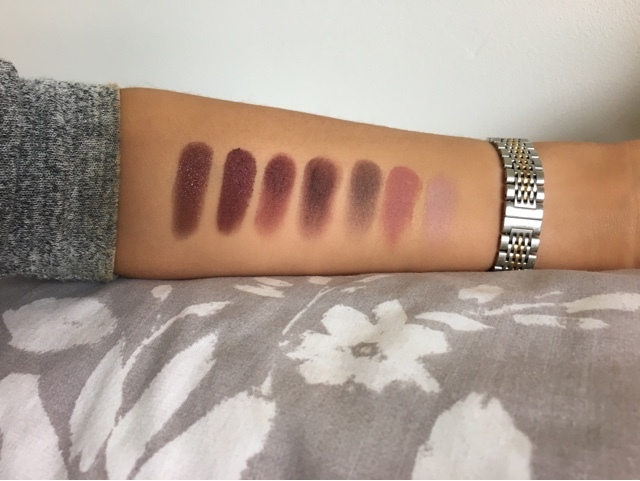 That concludes my collection, let me know what your favourite shades are from Makeup Geek or your favourite eyeshadows in general in the comments below! See you soon!